Last week, The Blogger Programme took four incredible women for a well deserved mummy day out, TBP style! 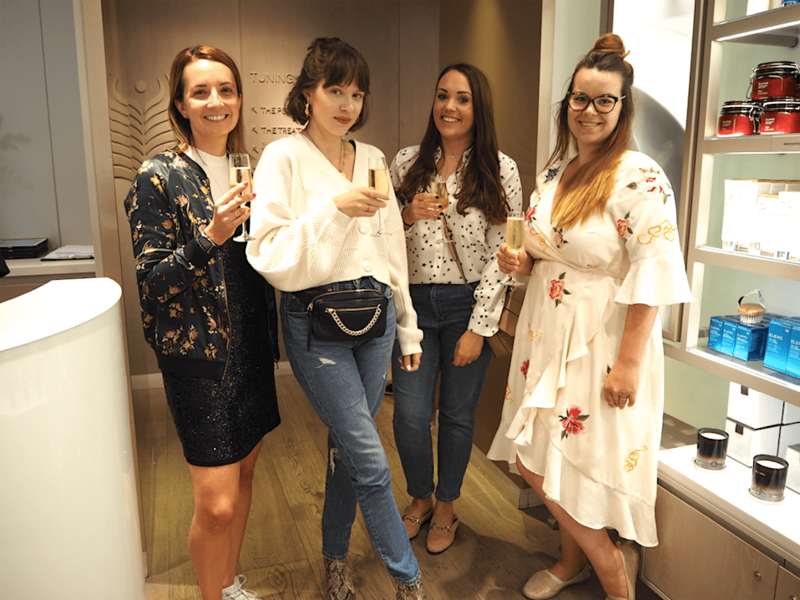 We had the pleasure of treating four parent influencers, Harriet (@tobyandroo), Emma (@lifethroughemseyes), Gabrielle (@gabriellewearsdenim) and Alice (@alicej_t), to a spa morning and luxurious lunch! It was so lovely to catch up with four ladies who we have worked so closely with over the years on various TBP campaigns and trips. 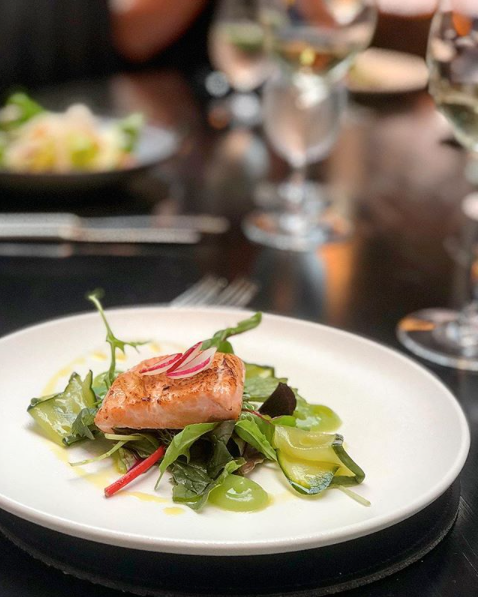 We arrived at the stunning House Of Elemis in Mayfair, which is tucked away down Lancashire Court, home to popular places such as Hush Restaurant and Victoria Secret. The spa had an aura of calm, intimacy and luxury when we walked in, and we were instantly greeted by the therapists and offered herbal teas. The ladies were then taken individually to have facial assessments at the skin lab before their treatments, where they received a personal skin consultation that determined the type of facial they would receive. 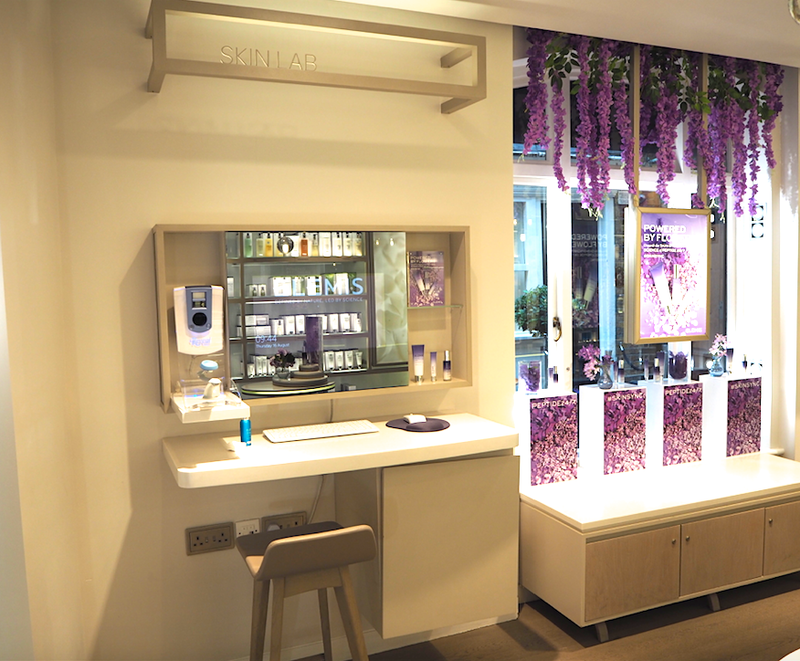 The therapists tuned into each of the ladies, performing transformative treatments, personalised to respond to the ever-evolving rhythm of their lives and ever-changing nature of their skin. Everyone came out feeling relaxed and refreshed, and all agreed that their skin felt soft and brimming with hydration. The ladies were given cold lemon water and a glass of champagne after their treatments, and were absolutely glowing! We couldn’t have been more impressed with The House of Elemis and will definitely be returning. After relaxation, came food! We headed off to another hidden gem Avenue, an American-inspired restaurant in the heart of London’s St James. Beautifully designed décor blending warm, natural designs and bespoke furniture, Avenue offered expertly crafted cocktails and freshly prepared American brasserie cuisine. 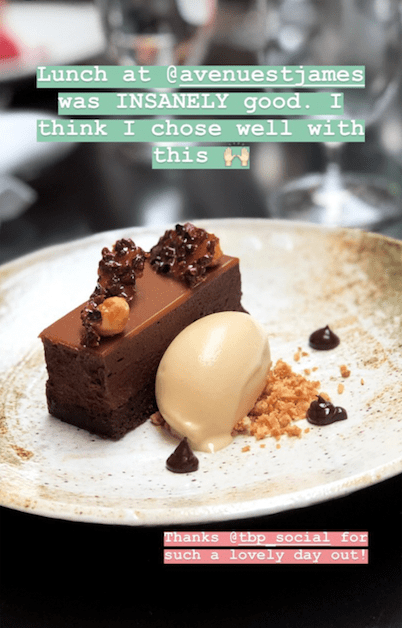 We tucked into a 3 course meal that was impeccably presented and perfectly cooked, while catching up on mum life, recent campaigns and summer holiday madness! Starters included confit blackened salmon, and heritage tomatoes and ricotta, followed by glazed pork belly, chicken supreme and sea bream for main. We then tucked into our favourite course.. dessert! Dishes included vanilla poached pineapple, passionfruit cheesecake and chocolate pave! It was a delicious meal and a fabulous restaurant. It was an absolute pleasure to host a day out for these four ladies and we cannot wait to host our next TBP Day Out! 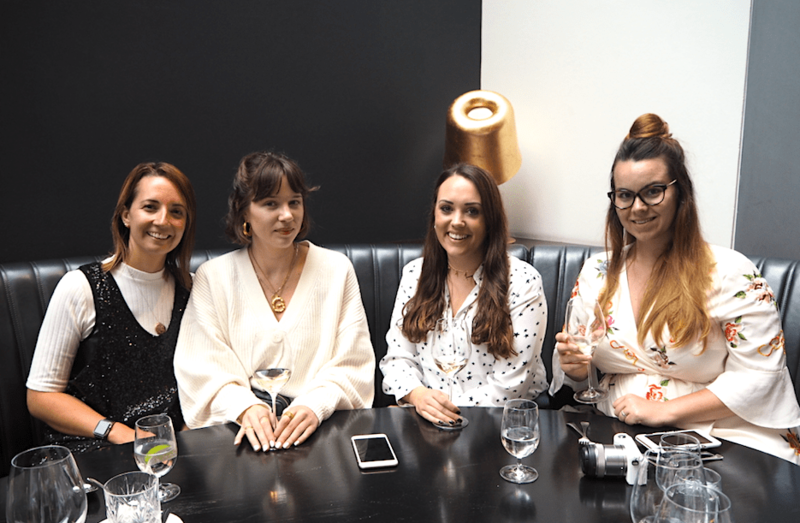 You can check out other recent events we have hosted with influencers including a Vegan Lunch with Gaz Oakley, and a trip to Coppa Club with the wonderful Harriet. If you are an influencer wanting to get involved with blogging opportunities like this, paid campaigns or other industry events, then you can sign up for free at The Blogger Programme to access all our influencer opportunities and get sent them directly to your inbox each week.